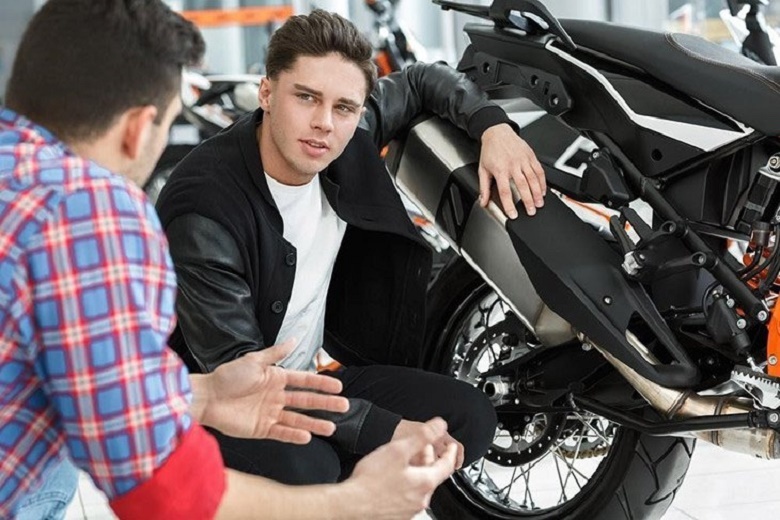 We tell you the details that you have to take into account before buying a motorcycle from a dealer. Do you decide that you have to have one? We understand it perfectly. Who can resist a road trip like the ones we suggest? The risk of driving a motorcycle is nothing new. It is normal that you want to enjoy the adrenaline that these vehicles offer, just do not forget the importance of safety. Please do not forget to wear a helmet, take the necessary precautions when driving and hire insurance. 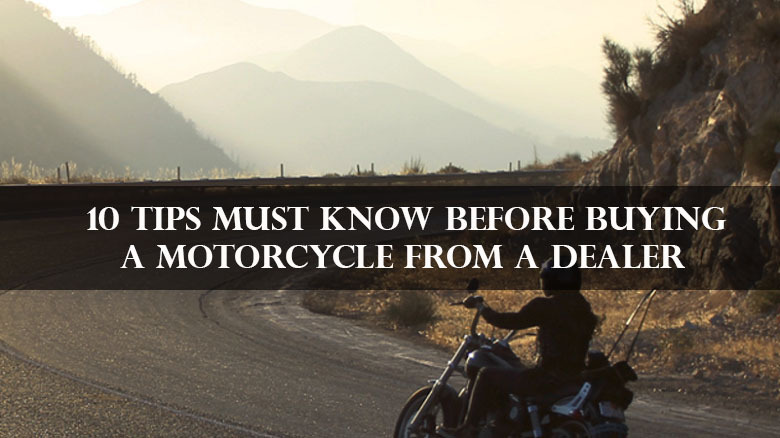 Keep in mind the causes of motorcycle accidents. It is also important that you keep in mind that you will have to drive defensively. Motorcycle accidents are very dangerous. Do not forget that the driver of a motorcycle is much more exposed to all kinds of injuries than the driver of another vehicle. Yes, it may be that you have already gone on a motorcycle before but that does not mean you are ready to go out on the road or on the road. Before buying a motorcycle, take the necessary courses. In the courses they will not only teach you how to ride a motorcycle, you will also learn the importance of balance and the fundamentals of knowing how to fall. What do we mean? To avoid serious injuries, it is important that you are prepared for any type of unexpected event. If you know how to fall, the probability of serious injury is less. Each place has laws and regulations directly related to motorcycles. Avoid being fined and investigated. Knowing them will not only help you avoid problems with authority, in case of having an accident, you will know when it is your fault. For example, if you decided to get on your motorcycle in a way that prohibits them and you have an accident, your insurance will not be willing to pay you anything. There are bikes for everything and everyone. It is not the same to buy a motorbike to go to work than to buy a motorcycle to make a road trip with your friends. So that you can make the most of it and give it the right use, before buying it, take into account your needs. Once you have them clear, investigate all the options there are. Do not get carried away by love at first sight. Have you thought that your body is not made for all motorcycles? It will sound weird but it is important that before you buy one, it is important that you do a test drive. That is when you will realize the importance of this point. Not only do we refer to the importance of keeping in mind how much a motorcycle can weigh. There is also the possibility that the motorcycle of your dreams is not as comfortable as it seems. It may be that the seat does not fit or that the brake and accelerator cannot be controlled as easily as you thought. We already made it very clear: the driver of a motorcycle is completely exposed. This does not only apply to accidents. Weather and dirt are factors that will not forgive you. If you want a motorcycle to go to work, think about it very well. There is a chance that you get wet and dirty to your meetings with clients. Now, if you want a motorcycle to live an adventure, this point is not so relevant. Not only do you have to take the proper precautions before getting on the bike. While driving, it is important that you keep several things in mind. For example, if you live in Mexico, you must be especially careful. Mexicans do not have a great culture of respect for motorcycles. In addition, the problem of motorcycles is not always the irresponsibility of drivers. There are times when the driver of a car cannot see (because of the whole blind spots when driving) the motorbike that goes by his side. What you use while driving is very important. If you can, use several layers. This will not only protect you from unexpected temperature changes, it will also protect you in case you fall. There are several brands of clothing for motorcycles that have clothes with the best technology, take into account investing in them. Do you think jeans are ideal for motorbikes? Error! Denim pants should not be used for this activity. Footwear is also very important. Try to buy some shoes, tennis shoes or boots with good traction. It is a fact; you will have to put your feet on the floor at some point of the trip. To avoid slipping by rain or liquids that have thrown cars, you need to have the right shoes. If you already bought it, know it! It is important that you know all the details about the tires, the maintenance, the type of fuel you use and how much you use, etc. Read the full catalog or ask the seller and know all information which bike you are going to buy. Like every vehicle, the motorcycle needs you to invest in it. Maintenance is essential. If you are going to buy one, act as if you were buying a motorcycle from a dealer. Investigate services, parts and more. We do not prefer buying a motorcycle from a dealer if you will not be able to take it to fix or have a good service.